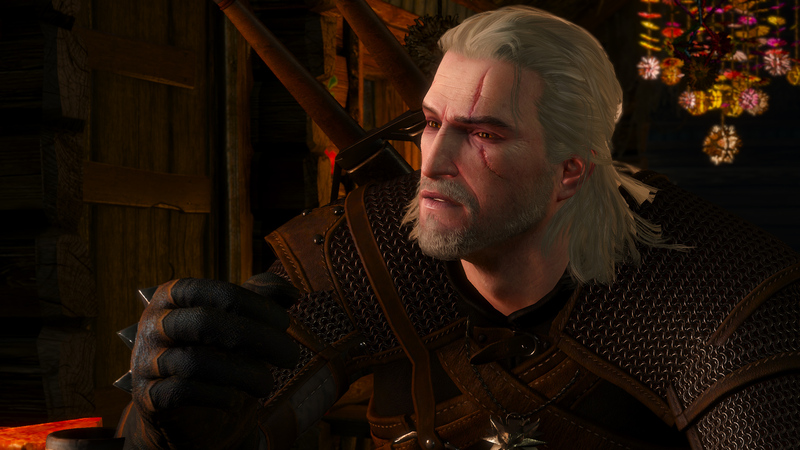 I wrote an article about The Witcher 3 for PC Gamer. I focused primarily on some tips for achieving the smoothest possible gameplay, but what I’m really surprised by is the CPU results I obtained. I might have chosen a bad location for that benchmark, and perhaps I’ll repeat it somewhere else, but I really expected an open world DX11 RPG to be more CPU-heavy. Certainly not playable with two 2.2 GHz cores at 30 FPS and 4 at 60 FPS. Very well done, and another indicator to me that seems to hint towards the gains with future low-level graphics APIs being less pronounced than some expect, outside of very specific use cases. Of course, that level of control will at the very least be a huge boon to VR rendering, which inherently requires a high framerate, low-latency and extremely consistent performance. I recently started implementing FPS capping in GeDoSaTo. For those not familiar with the term, basically you want to achieve a consistent framerate in a given game, and in order to do that you cap the framerate at a given maximum. In practice, this is usually done by simply inserting waiting periods after you are done with a given frame. E.g. if you want to cap to 30 FPS, you would wait until you reach a frametime of 33.3 ms. There are multiple external tools which already do this (e.g. NVidia drivers have an option, RTSS can do it, some games have a built-in cap, …) so up to now I wasn’t interested in doing the same in GeDoSaTo — though I was sometimes frustrated by the lack of fine-grained control in external tools. However, I recently had an idea on how to improve upon the commonly employed method for doing this, in order to perhaps slightly improve input lag in a capped scenario. The image above shows 3 use cases: uncapped framerate, a traditional 30 FPS limit implementation (“Capped”) and my new method (“Predictive”). As you can see, the traditional method simply inserts a waiting period after each frame. However, this means that you are potentially losing a few milliseconds of input latency for no good reason. Instead, with predictive FPS capping, GeDoSaTo keeps track of the frame times for previous frames, and takes a set fraction (configurable) of that as a predictive waiting period before each frame. The result (for games which do synchronous input sampling on the rendering thread or at least on another thread synchronized with it) is that the input after waiting is used for the new frame, reducing input lag by some fraction of the frame time. The only dangerous aspect of this method is if there is a sudden spike in frame rendering times. For example, in F2 in the picture you can see that the frame almost doesn’t get done in time. If it were to cross the threshold, predictive FPS capping would result in a framedrop which would not happen in a traditional FPS limiting scheme. For this reason, the ratio of how much waiting time should be moved to the start of the frame is configurable — you can use a low value like 0.25 for a game with very erratic frametimes and something like 0.9 for one with extremely consistent performance. The busy waiting or sleeping option is there for completeness, but outside of running on a laptop battery I don’t really see why you would not use busy waiting. In my tests it’s a lot more exact. Note that you can use floating point numbers as the frame limit, I find it often useful to go with e.g. 30.5 FPS if I want a solid 30 in order to overcome unmeasured overheads. Since my last blog post there have been two pretty large controversies about modding. The first was regarding paid mods for Skyrim. I was asked to provide a comment for PCGamesN, which was used in this article. My full comment, which is provided on the second page of the article, sums up my feelings on the issue. I have to admit that I was most disappointed by the level of vitriol some (purported) members of the community stooped to. The other issue was once again the old friction between modding and multiplayer. Both in DS2 and GTAV, people who claimed to be using only mods which do not affect gameplay in an unfair way were relegated to the cheater pool in online multiplayer. This is a very delicate issue. It is extremely hard or even impossible for a game to assess whether a in-memory modification is benevolent or not, so I can certainly understand “no online modding” policies in principle. in the end, that is just another instance which shows why developer-supported modding is the way to go: in such a setup, it’s easy to control which modding functionality is available in what game mode.